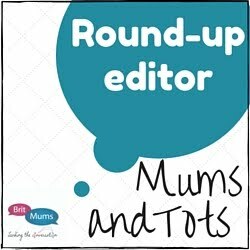 [Gifted, contains affiliate links] Bubbles are popular with everyone in our house from the baby to my partner, maybe not so much with the cat though. 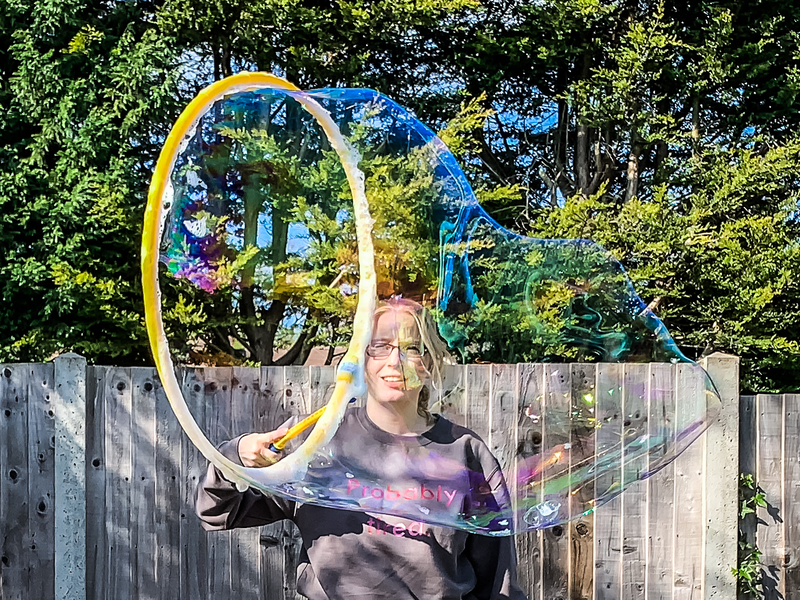 Bigger bubbles can only mean more fun surely? We have been playing with The Mega Loop from Uncle Bubble which we were sent to review and I have one to giveaway too (see the Gleam Widget at the end of the post). 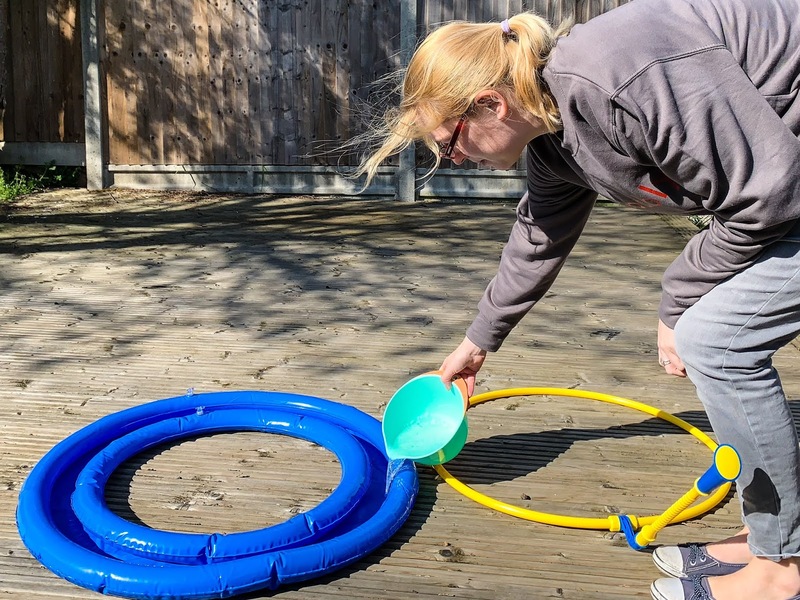 The Mega Loop kit is designed to create bubbles so big that people can go inside them. Pretty cool right? 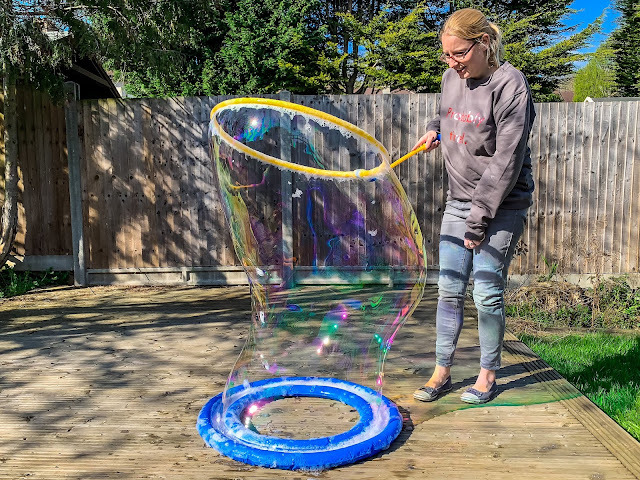 Designed for age 6 plus the Uncle Bubble Mega Loop contains a Mega Loop, an inflatable dipping tray and bubble formula which makes 2 litres of bubble liquid. The instructions aren’t very clear on how to assemble the loop, but I found it easy enough to work out. 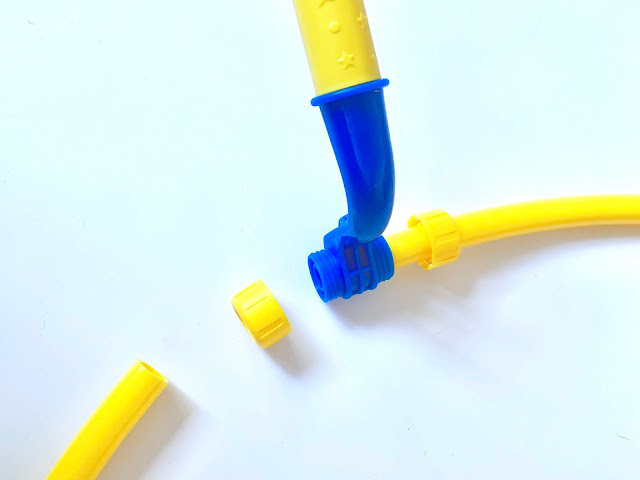 The handle clicks together, then you take the clear plastic connector off the yellow tubing, unscrew the “outer screw caps” at the top of the handle, put on to the tubing, push the tubing on to the handle, then tighten the caps. I set the Mega Loop up on our decking which is slightly sloped and I found I needed about 1 litre of bubble liquid to cover all of the dipping tray. If you have it on a flat surface you will be able to use less, but the amount of liquid we used gave us about an hours play. 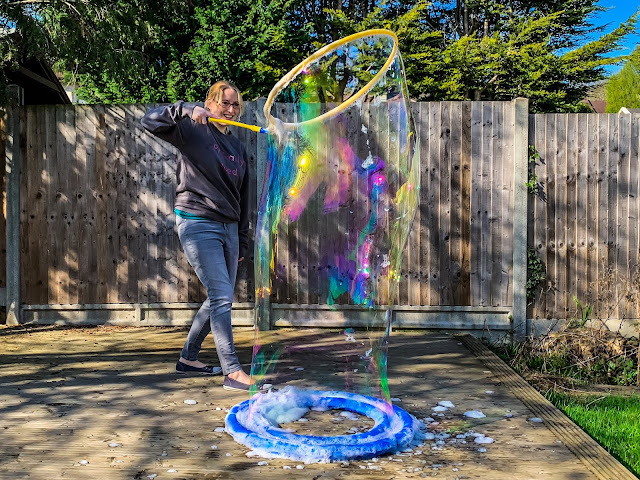 It is not easy to make giant bubbles. You need to get the bubble mixture just right (the bottle suggests a ratio of 1 bubble formula to 3 water, the more accurately you mix it the better the results) and you need the right environment. I set it up in my garden because I don’t have the space in my house (and I didn’t really want it covered in bubble mixture), but you are unlikely to be able to manage all the tricks it suggests unless you do it inside because the smallest breeze affects the bubbles. The instructions warn that if the bubble liquid gets foamy it will affect the quality of bubbles, but it is quite hard to avoid making it foamy especially if you have children over enthusiastically dipping the loop repeatedly in the tray. 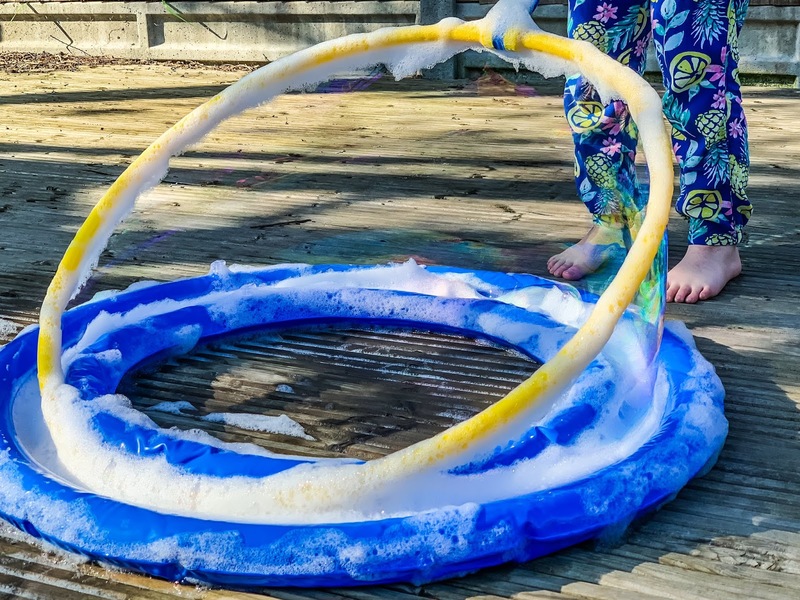 I found we could still make bubbles when it was foamy, but I only ever had success in about 1 in 5 attempts. The children testing it out with me had a lower success rate, but did manage to make a few bubbles. I think our problems were due to a combination of the wind and not getting the bubble mixture quite right. Despite the challenges of making the bubbles we still had a lot of fun playing with it. It became an achievement when a bubble was created and there were amazing expressions of awe on the children’s faces. It is great that you can then deflate the dipping tray, disassemble the mega loop and put it away for another day. The bubble formula only makes 2 litres of mixture, but you can buy more of the Uncle Bubble Formula on Amazon. Make the bubble mixture correctly. I’m pretty confident this should be 1 part bubble formula to 3 parts cold water. 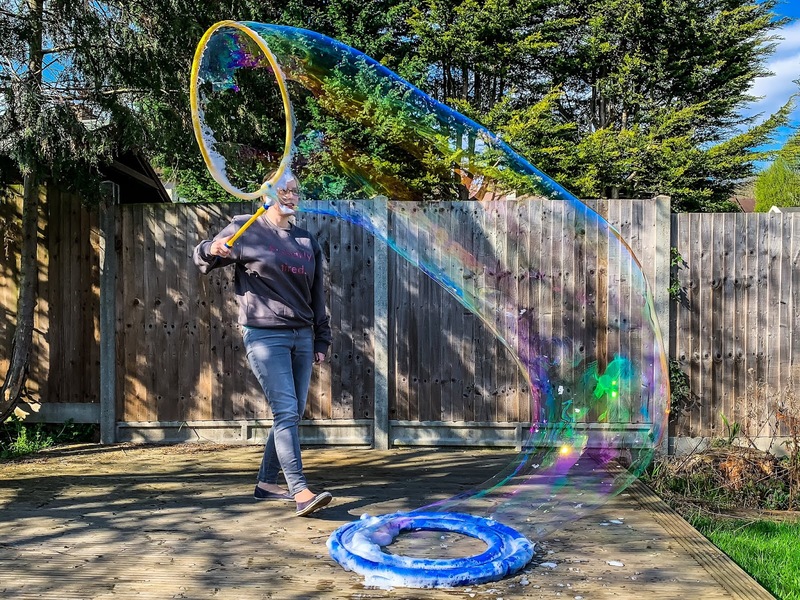 Ensure you are in a large space as any objects touching the bubbles will make them burst. Make the bubbles inside if you have space or in an area with as little wind as possible. It would work brilliantly if you have a hall for a birthday party. Put the dipping tray on a flat surface or you will need to use more mixture. I started by mixing up 400ml of bubble mixture and gradually increased the amount. Take care with any bubble solution on the floor as it can make it very slippy. My biggest criticism of The Mega Loop is the quality of the included instructions e.g. the bubble formula bottle says it should be diluted 1 part formula to 3 parts water, on the first page of the instructions it says it should be mixed both 1:4 and 1:9. The 1:9 ratio is for their more concentrated solution. Lots of the text in the instructions is duplicated and it would be helpful if there were images for putting together the handle. The instructions have some suggestions of different things to do with the bubbles including putting a person in a bubble and getting a bubble inside a bubble. 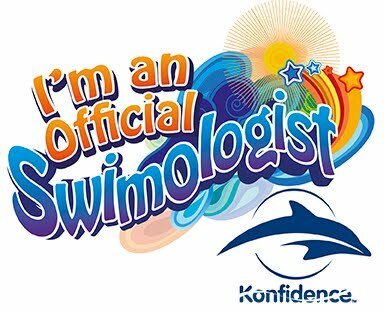 We haven’t managed anything this advanced yet, but I'm looking forward to trying again. 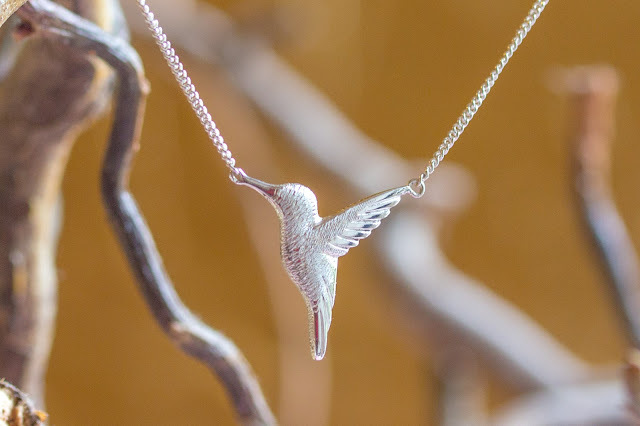 To win your own Mega Loop enter via the Gleam widget below before midnight 30th April 2019.